So.... 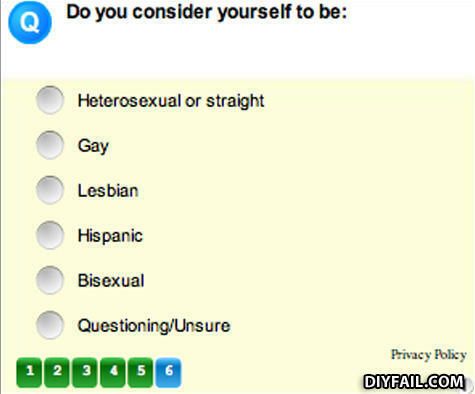 I can CHOOSE to be Hispanic?? I knew it!!! Something is off, I just can't quite put my finger on it! So if you're not gay, you're either straight or a Mexican....ever see a gay mexican? Q: What do you get when you stand a blonde on her head?